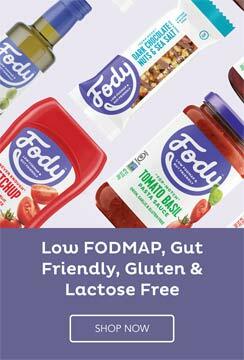 As the low FODMAP diet gets more attention and research shows that this diet is beneficial to many with IBS it has become apparent many need a little help to undertake this slightly daunting diet. With the help of Suzanne Perazzini, a FODMAP focused nutritionist, we are able to offer some helpful services for those who would like some help with the diet. 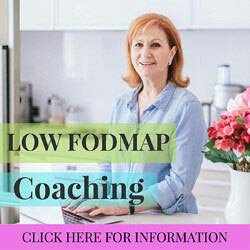 Suzanne offers a personal 1 on 1 FODMAP diet coaching service with weekly live Q&A calls – all from the comfort of your home. She offers a helpful guided service to help even those who find this diet a real struggle. 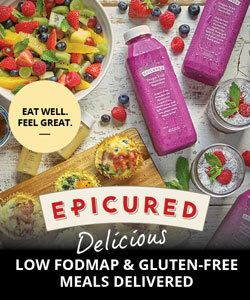 The feedback from clients is really encouraging and you can find more information on the FODMAP diet coaching page. Suzanne also offers a FODMAP meal plan service where she personalizes a weekly meal plan with complete food lists and optional easy to make recipes. This service takes the difficult decisions of what meals to cook for someone who is following the low FODMAP diet and provides easy to follow steps on what to buy and how to prepare. Great for those of us who are short on time.